WP-Members is a WordPress plugin designed to restrict content to registered users. It was developed with conversions in mind – using your content to convert readers and site visitors into customers. The plugin was developed with fast and easy deployment in mind. This Quick Start Guide will get you up and running quickly. But don’t let the ease of setting up the plugin fool you. This plugin is built on a powerful framework that allows easy extensibility and customization. You are not limited to the default options and setup. There are all kinds of ways to bend and shape the plugin to your needs. Much more information is available on the plugin’s support site. While you are there, I would suggest that you sign up for the premium support membership. At $47, it is a good value and this price gets you access to the support forum, priority email support, a code snippet library of customizations, and access to exclusive plugin extensions such as registration blacklist, user tracking, PayPal subscriptions, and more. The plugin will automatically install its default settings upon activation. 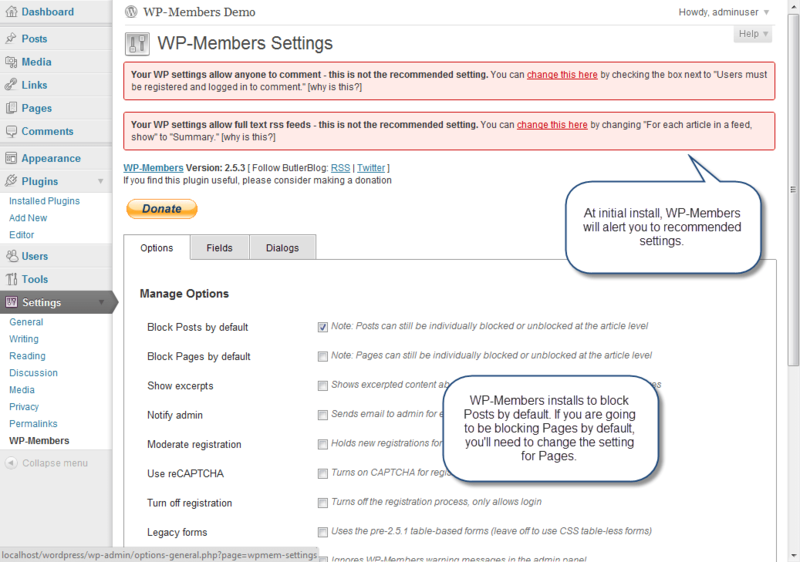 Once you have activated the plugin, you can edit the settings by going to Settings > WP-Members. Depending on your WordPress settings, when you first go to the plugin settings page, you may notice various warning messages. 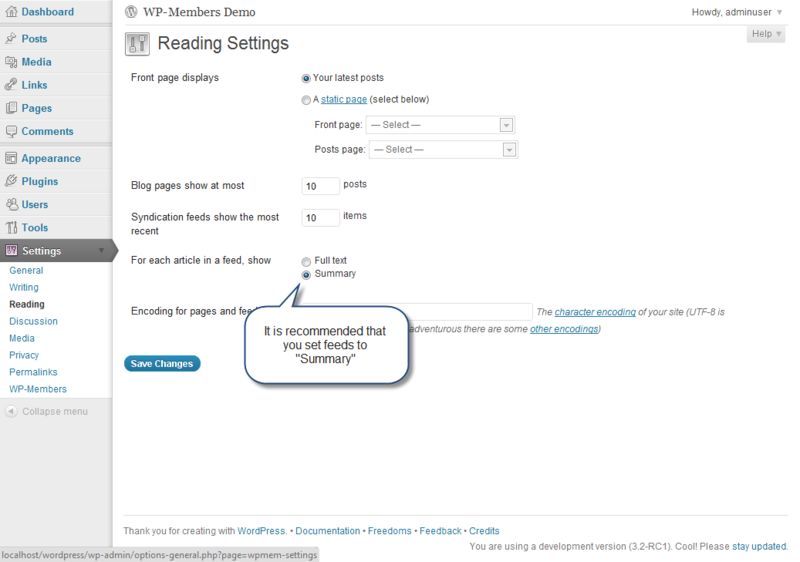 These messages will alert you to any WordPress recommended settings changes. Please note that the plugin installs to block Posts by default, but not Pages. If you intend to block Pages, you will need to change the default plugin setting. It is recommended that you check “Users must be logged in to comment” under Settings > Discussion. 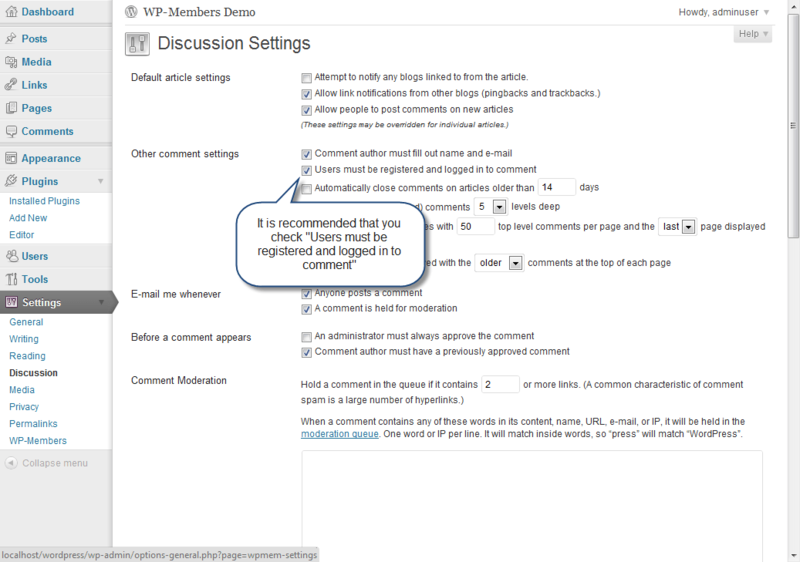 If content is blocked, WP-Members blocks the comments as well, but if a page or post is unblocked, and you want only registered users to be able to comment, then you must check this settings. It is highly recommended that you set feed settings to show “Summary.” If you do not, any content in your feed will be full content. A scenario where this may not be critical would be if you are using the plugin to block pages, but not posts. However, if you are blocking posts, you most definitely want the feed setting to only show summary excerpts. 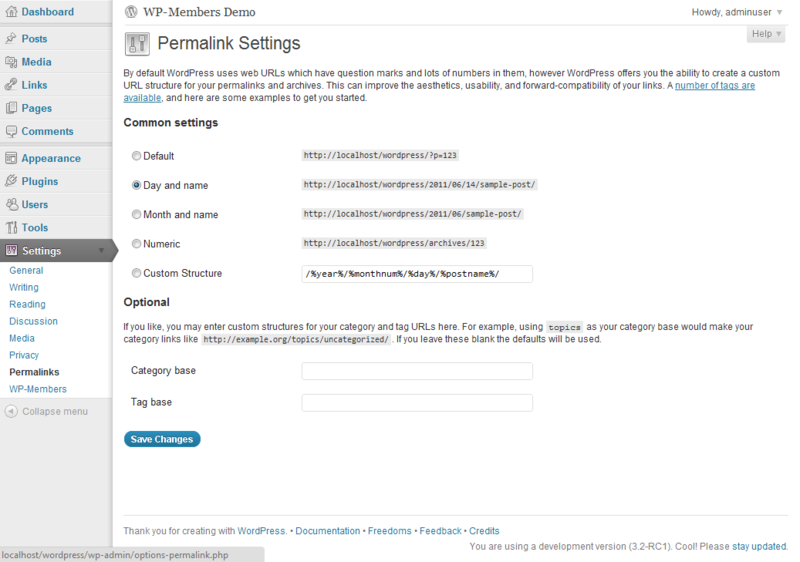 It is highly recommended that you use something other than the default permalinks. It is not required that you change these, but (1) it will make your URLs more human (and SEO) friendly, and (2) it will be easier for you to set up the plugin’s special pages.